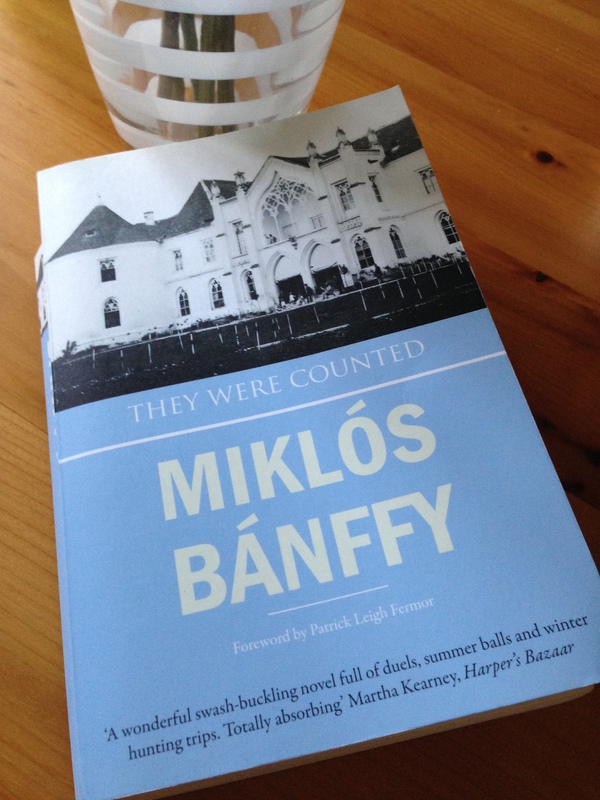 Earlier in the week, I reviewed They Were Counted, the first book in Hungarian writer and politician Miklós Bánffy’s Transylvanian Trilogy (also known as The Writing on the Wall). It’s a sweeping epic full of politics, love affairs, family tensions and dirty dealings, days at the races and nights at the ballroom – quite different from the stereotypical image of Transylvania as the land of gothic castles and vampires. If you missed it, you can read my review here. At nearly 600 pages, They Were Counted is a big book in every sense of the phrase. As such, I couldn’t find enough room in my review to include a passage on the political developments of the time. So, for the interested, I thought I would post a couple of extended quotes here, particularly as they help to illustrate one of the key themes in the book, the tensions over the fate of the Hungarian nation in the early 20th century. (The trilogy spans the ten years prior to the start of WW1 and the subsequent dissolution of the Austro-Hungarian Empire.) Hopefully, they will give you a flavour of some of the political themes and the tone. The novel covers the key political developments affecting Hungary in the run-up to the Great War. Other than Count Balint Abády, the young independent politician and the main protagonist in Banffy’s marvellous epic, many of the other Hungarian politicians of the day seem rather blinkered and insular in their focus. Several of the parliamentary debates end in mayhem with politicians eagerly jostling for position, and there is much dogmatic, underhand behaviour along the way. First up is a quote from one of the early chapters of the first book – it is worth reading in full. The year is 1905: Tisza is the Prime Minister of Hungary; Slawata, a Counsellor to the Foreign Office, is rumoured to be close to the heir to Archduke Franz Ferdinand, the Austro-Hungarian throne. Unlike the ruler of the day (Franz Joseph I), the Heir is a fan of centralisation with one grand central council controlling everything from the politics to the economy to the armed forces, a point that Slawata has already revealed to Balint during a previous conversation. The quote also says much about Balint’s character, that of an inherently good man trying to do his best in a rapidly evolving world. Balint pondered the programme outlined by Slawata: centralization, rule by an Imperial Council, the ancient kingdom of Hungary reduced to an Austrian province, and national boundaries to be re-arranged statistically according to the ethnic origin of the inhabitants! Why all this? To what purpose? Slawata had given him the answer: Imperial expansion in the Balkans so that feudal kingdoms for the Habsburgs reached the Sea of Marmora; and it was all to be achieved with the blood of Hungarian soldiers and paid for by Hungarian tax-money! So it was merely to help Vienna spread Austrian hegemony over the nations of the Balkans that Tisza was to be helped to build up the Hungarian national armed forces. It seemed now to Balint that both parties in Parliament were fighting instinctively, but without a clear understanding either of their motives or of the inevitable results of their policies and strategy. While Tisza battled to strengthen the army, he could have no inkling that, once strengthened, it would be used to suppress the very independence it was designed to assure – and when the opposition delayed the implementation of Tisza’s policy by petty arguments about shoulder-flashes and army commands, they were unaware that, inadvertently, they were providing ammunition for those very arguments that in the near future would threaten the integrity of the constitution. How simple everything could seem if one looked only at the figures, those cold statistics that took no account of people’s feelings and traditions. How much would be destroyed if men were to be treated as robots! What of the myriad of individual characteristics, passions, aspirations, triumphs and disappointments that together made one people different from another? How could anyone ignore all the different threads of experience that, over the centuries, had formed and deepened the differences that distinguished each nation? This next quote highlights the insular nature of the Hungarian politicians, many of whom are intent on focusing on their own internal affairs at the expense of keeping abreast of developments on the broader European stage, By now we are a couple of years down the line. I may well write another (shorter!) piece on Banffy’s evocation of the natural world, one of the many pleasures of this trilogy. Next weekend, perhaps. They Were Counted is published by Arcadia Books. This entry was posted in Bánffy Miklós, Book Reviews and tagged #TranslationThurs, Arcadia Books, Book Review, Classics Club, Fiction, Hungary, Katalin Bánffy-Jelen, Miklós Bánffy, Patrick Thursfield on January 17, 2016 by JacquiWine. Too often our understanding of 20th European century history is filtered through Britain, France, Germany and Russia, neglecting the many other countries which influenced it and were affected by it, particularly in Eastern Europe. I wonder how many people have even heard of the Austro-Hungarian Empire? I found the history lesson embedded in the narrative really interesting – it is worth a post to itself! Yes, that’s a great point. We didn’t cover any of this at school, so I’ve picked it up by reading books and articles in the press. When I looked back at my original review I realised I hadn’t done justice to the history or the political developments in the novel, hence my reasons for putting together this additional post. Plus I’ve tried to select quotes that reflect some of the key developments and themes (particularly the insular focus and lack of awareness/understanding of events taking place on the broader European stage, as I don’t think that came through in my first piece). Of course Balint could see how significant these developments were at the time even if others couldn’t or chose to ignore them. At a strategic level (which is the level I’ve tried to quote here), I found this strand very insightful…quite eye-opening, in fact. It’s a huge part of the novel, so I hope this redresses the balance somewhat! As you know I am really interested in both history and politics. I also love books that are bursting with ideas and intermingle different types of ideas. Thus, this is another reason that this book sounds so interesting to me. Just to add onto Jacqui’s recommendation, Brian, and knowing a little of your interests, I think that this trilogy – in its remarkable blend of literature, history and politics – is almost tailor-made for you. I have loved all of the Hungarian literature I have read. My favorite is Journey By Moonlight. I ought to try this author as well. Thanks for the great reviews! I’ve only read a handful of Hungarian novels, but all the books I’ve tried so far have hit the spot for me. Funny you should mention Journey by Moonlight as there’s definitely a touch of that novel here (Szerb is one of the few Hungarian authors I’ve read!) Banffy’s trilogy gives a real sense of that vanished world, a milieu swept away by the passage of history – it’s a pretty remarkable story. I really have to read this trilogy. It is fascinating and I’m very curious about the Austro-Hungarian empire. Hurrah! I doubt you’ll regret it, Emma. Even though the political developments were a little too detailed at times, I found the overall thrust of that storyline very interesting indeed. As well as being a novelist, Banffy was also a member of the Hungarian Parliament, going on to serve a term as Minister of Foreign Affairs in the early 1920s. In fact at one point in the trilogy, Balint gives a speech to the house that mirrors one of Banffy’s own – I’m pretty sure it’s been reproduced virtually word for word. I don’t know if you noticed, but Banffy actually inserts himself into one scene, a bit like Alfred Hitchcock making a cameo appearance in each of his films. What struck me as equally interesting in Banffy’s having served in Parliament was his role as theater director and as orchestrator of political pageantry, including has having designed the ceremony for the coronation of the last Hapsburg king, King Karl. You get a sense in reading him of his astounding ability to conceptualize political events aesthetically. I don’t think I’ve yet encountered another writer who does this so well. I did notice that! The scene where Balint makes that speech, it’s Banffy’s own address to the House…that was very cleverly done! I didn’t know about his role as a theatre director and orchestrator of political pageantry. (Did I miss this in Patrick Thursfield’s introduction?) That’s a good point about the aesthetics – I hadn’t really thought about it, but now you’ve mentioned Banffy’s other talents it makes perfect sense. On a related note, I can’t help but think that this trilogy would make a wonderful long-form TV series, something to settle in with over the winter months. I hope to goodness some enterprising screenwriter or producer picks it up and runs with it. You didn’t miss anything. Thursfield doesn’t say a lot about Banffy’s various positions, but he and Katalin Banffy-Jelin also translated non-fiction pieces by Banffy under the English title The Phoenix Land, which includes a long description of the coronation and details Banffy’s role in producing it. I think a film or TV series may be inevitable – not that I’ve heard of any plans to make one. Ah, right. Funnily enough, Claire also mentioned The Phoenix Land in her comments. I may well take a closer look at that at some point in the future – not for a while as I like to mix my reading up a bit, but maybe when I’m in the mood for some non-fiction. Great idea, Jacqui, to pull out some passages that give a flavor of the extent to which Banffy immerses the reader into the granular politics of the time. As Grant says above, our notion of history is too often filtered through a nationalistic lens, or at best, through that of some allied countries. One of the great rewards for me in reading Banffy’s trilogy was getting to know some of the history of the Austro-Hungarian empire, and especially the degree to which many of its leaders and subjects saw it as the pinnacle of European civilization (there’s a great section at the end of Hungarian writer Frigyes Karinthy’s A Journey Round My Skull which seems to perfectly capture this attitude regarding the immensity of what was at stake and what was lost) – while at the same time voices like those of Banffy (in the guise of Balint Abady) were warning of the writing on the wall. That first long passage above reminds me of nothing so much as the almost universal reliance, by politicians in the U.S. Congress today, on daily poll numbers – a kind of reactionary politics that fails to recognize the human element behind those numbers. Thanks, Scott. I really felt as though I hadn’t done justice to the political/historical threads in my original review, so this was my attempt to redress the balance somewhat. Yes, I couldn’t agree more with your comments on the leaders of the Austro-Hungarian Empire, that point really comes across in Banffy’s epic (as my first quote helps to illustrate). They saw Vienna as the centre of everything, both politically and socially. I have not read Karinthy but am aware of A Journey Round My Skull (in fact I have a feeling you reviewed it some time ago, so I may well have seen a post on your blog). One to keep in mind for the future for sure. And yes, the failure to recognise the human faces behind the numbers was one of the things that struck me about the first quote in my piece – that was one of my reasons for extending the quote to include the third and fourth paragraphs. I think it also illustrates the disregard for individual cultures, characteristics and traditions in all of this…it’s terribly sad. I went looking for the trilogy and may end up reading it on the kindle as a result, but I was also fascinated by the author’s memoir, The Phoenix Land: The Memoirs of Count Miklos Banffy, for all the reasons you cite above, that glimpse into the political, historical and in this case, family/personal life intertwined. By all accounts, his life sounds as fascinating and gripping as his fiction. Thank you for going to the effort to share all this Jacqui, it certainly has piqued my interest and I shall be following up with a few reads! Another Hungarian author/book I’ve been wanting to read is The Door by Magda Szabó, it seems to be permanently on my wish list, but hasn’t yet made it onto the shelf! You’re very welcome, Claire. I’m so glad you found it interesting. The kindle sounds like a great way to go with this trilogy as reading the first volume nearly knackered my wrists! Let me know if you do decide to read it as I’d love to hear your thoughts. I must admit that I hadn’t looked into Banffy’s memoir until you mentioned it. Just looked it up now and it does sound fascinating. Something to bear in mind for the future. Have you read War and Peace by the way? It seems in some ways an obvious counterpoint to this, more famous but not necessarily better. Sorry, didn’t tick the Notify me of new comments via email box. Lovely to see the political elements brought out. How does the self-insertion work? I really ought to have given the history/politics a higher profile in my original review, but you know how it is, I just ran out of space in the end. Also, my original piece probably gave the wrong impression. At a strategic level, this strand is fascinating, really interesting…it’s just that Banffy goes into a lot of detail about the minutiae of various developments. That said, I thought I should try to do justice to this stand by pulling out a couple of ‘high level’ quotes to illustrate the key themes. I’m glad you found it interesting. Re the self-insertion: like Balint, Banffy was also a Member of the Hungarian Parliament (going on to serve as Minister for Foreign Affairs in Tisza’s government in the 1920s). At one point in the novel, Balint gives a key speech to the house which is, in effect, one of Banffy’s own speeches to Parliament. Hence the cameo appearance, so to speak. I haven’t read War and Peace, only Anna Karenina…but I have just started watching the BBC adaptation. There’s definitely something Tolstoyan about the sweep and scope of Banffy’s trilogy, for sure. In fact, I’m pretty sure the blurb on the back of the books mentions Tolstoy as a reference point. Ah, The Door – I vaguely recall your review of that novel, certainly the fact that you didn’t get on with it! I must take another look your piece when I get a spare moment or two. There, I’ve added it to my list of posts to read next week. I cannot wait to read this! And, hopefully, the other two in the trilogy. I’m looking forward to your review of the first novel, Bellezza. It’s such a rich trilogy, something you can sink into and settle in with for an extended period of time.